What could be more fun than an inflatable flume? 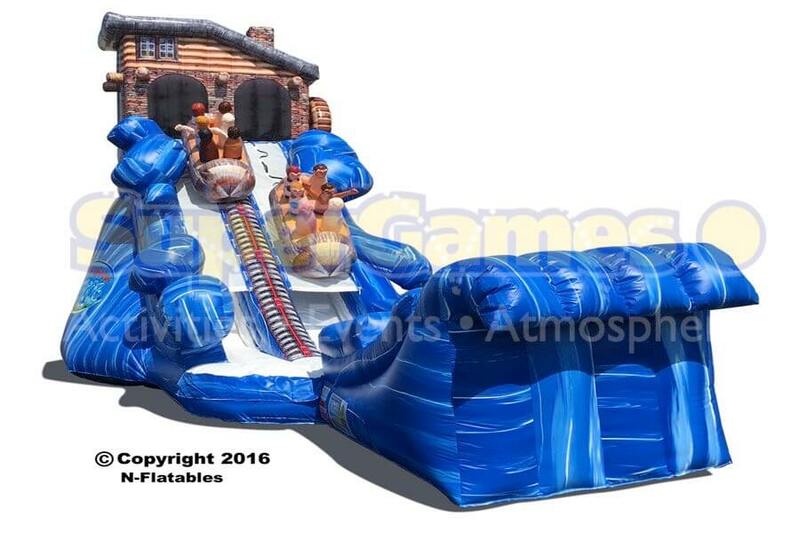 This colorful slide can be used with or without water and features a realistic cabin that looks straight out of the North Woods! Participants will enjoy a 23’ thrilling ride down the gorge! This is a great addition to your next beach event!